Anthony Fraser has been appointed as the head of the Capability Acquisition and Sustainment Group (CASG) in the Department of Defence. Minister for Defence Christopher Pyne and the Minister for Defence Industry Steven Ciobo welcomed the appointment of Fraser, who has a substantial background in the military, Defence capability, equipment acquisition and sustainment. Reaching the rank of Major General, Fraser has 5500 military flying hours, mostly on helicopters, and achieved an A1 flying instructor rating. Fraser also led the team assisting David Mortimer in his review of the then Defence Materiel Organisation and served in senior positions within Defence acquisition prior to working in private industry and becoming Airbus Head of Country Australia and NZ. Fraser will commence duties in November. 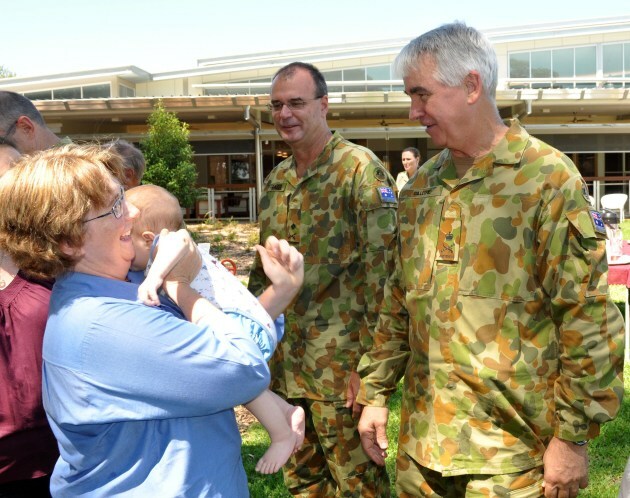 He will lead CASG at a time of unprecedented investment in Australian Defence capability. Minister Ciobo said Fraser returns to public service at a significant time. “Mr Fraser will be responsible for delivering the Government’s $200 billion investment in Australia’s future Defence capability,” Mr Ciobo said. Minister Pyne and Minister Ciobo thanked Kim Gillis, the outgoing Deputy Secretary Capability Acquisition and Sustainment. “I pay tribute to Mr Gillis who has been instrumental in a number of projects of national significance such as our amphibious ships, the future submarines, offshore patrol vessels, combat reconnaissance vehicles and future frigates,” Minister Pyne said. Gillis leaves CASG after three challenging years as the Deputy Secretary and a 38-year career divided into 20 years in public administration, five years in shipbuilding, five years in public administration, five years in aerospace, and the last three years in public administration again. In his own words, the amount of work CASG had dealt with during his tenure was “nothing less than phenomenal."